DAVID LE/Staff photo. 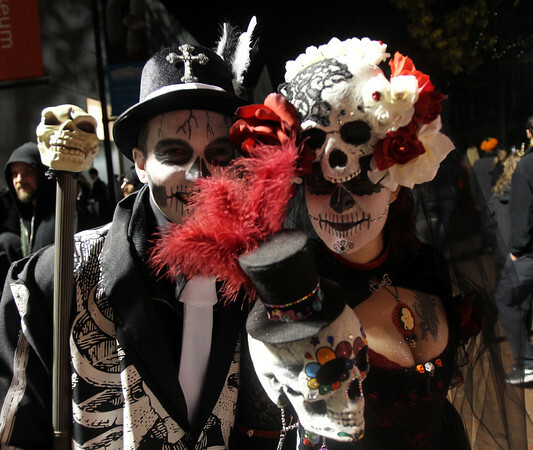 Pierre Fleury and Vicky Fortin, of Quebec, Canada, are dressed to the nines in day of the dead costumes and face paint. 10/31/15.